MarineParents.com took on this extreme restoration project to support 94 year old WWII Marine Combat Veteran, Larry Diggs. We raised over $12,000, recruited 120 volunteers from Veterans United, and hired Lanier Landscaping to get this job done in one day. The project included tearing down and rebuilding a retaining wall, which was affecting the structure of the Diggs' home, removing and trimming overgrown and dead plants, and creating a low maintenance landscape with weed barrier and rock. Click above to see our video of the project. 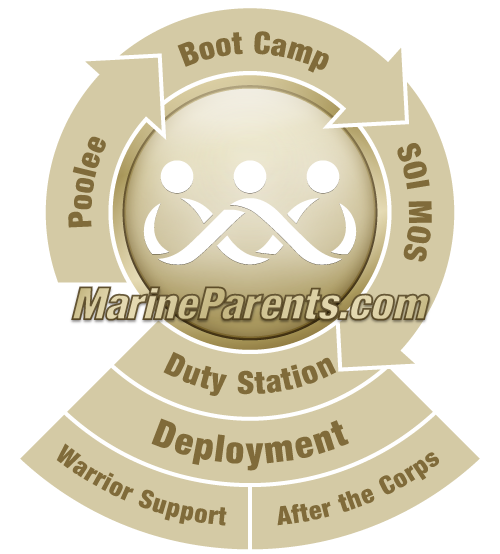 Copyright © 2018 MarineParents.com, Inc. Extreme Restoration: Marine Parents Style! On May 7, 2018, MarineParents.com, along with Lanier Landscaping and volunteers from Veterans United, conducted an extreme restoration project for 94-year old World War II Marine combat veteran, Larry Diggs. It was a hot and humid day at 82 degrees but everyone worked hard to push through and finish the job. We can't thank everyone enough for dedicating their time and effort toward helping Mr. and Mrs. Diggs. Our hope is that this project will allow them to be able to enjoy the beauty of their land rather than worry about further maintenance themselves. Born in Mississippi and raised in Chicago, Mr. Diggs was drafted into the military in May 1942 and was one of the first African Americans recruited by the Marine Corps. Diggs was one of nine kids and credits his upbringing with him being able to make it through bootcamp. After finishing boot camp, Diggs took part in jungle warfare and special weapons training in Guadalcanal. From there he was assigned to the 7th Ammunition Company attached to the 1st Marine Division and was shipped to the Pacific. Click here to read more of Larry Digg's incredible story. We would like to thank Lanier Landscaping for leading the project, Veterans United for providing 120 volunteers, Woodward Lawn for donating their services and mowing the lawn the weekend before, Culligan for donating bottled water, MO-X for providing a free shuttle for Veterans United to the jobsite approximately 30 minutes away, and Orscheln Farm & Home for providing a $100 gift card to buy tools. Of course we would also like to thank those who donated to this cause. We raised $12,375 towards this project with final expenses coming to $13,747.16. It's not too late for you to support this cause. Click here to donate to this project's expenses. If you would like to support more outreach like this, click here to donate now. donated $12,375 to our fundraising campaign for this project. Total expenses were $13,747.